A brief intro about Port Blair city. Port Blair is strategically immensely important as it serves as the entry and exit nodes to this far-fetched archipelago. It is connected to the main sub-continent both by air and sea. It has the only International Airport, The Veer Savarkar Airport, that connects the archipelago with the rest of the world. Port Blair is surrounded by surreal and verdant tropical forests and a jagged coastline encumbering bright blue pretty seas with the vibrant coral reefs. Port Blair is a happy diverse mix of all ethnicities such as the Bengalis, Tamils, Telugus, Nicobarese and Burmese. Port Blair fascinating history lures travellers in search of beauty, magic, mystery and relaxation and most travellers indulgently spends a couple of days and more in this pulsating island to catch some memories. The fascinating association with the other worldly charm in the form of heritage ruins in the Cellular Jail and Ross Island make for an interesting sojourn to the story-hungry travellers and tourists. The major attractions for tourists coming and putting up in Port Blair are the Marina Park Complex, the Sound and Light Show of Cellular Jail, Ross Island, Corbyn’s Cove Beach, Samudrika Museum and the British remnant Cellular Jail that continues to tell its tale of woes and misery faced by the brave freedom fighter who reared up their proud head against the British rule. The main language spoken by the inhabitants of Port Blair are Tamil, Hindi, Bengali and Telugu. 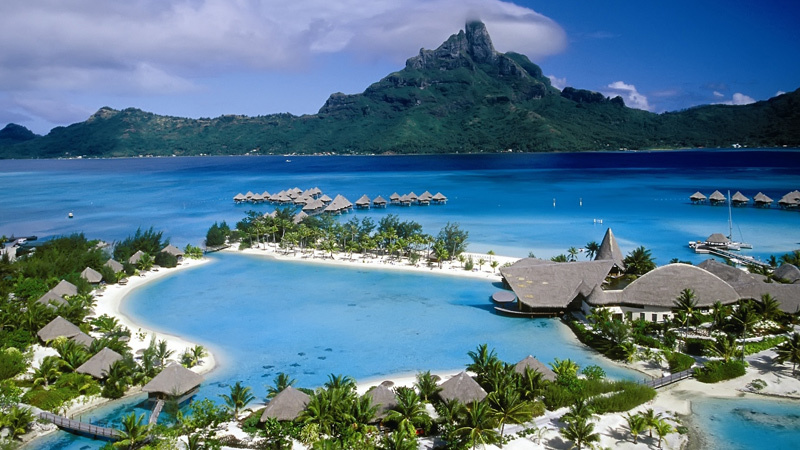 By Air – Port Blair has an international airport, Veer Savarkar International Airport, which is connected to all major airports of Chennai, Mumbai, Kolkata, Vishakhapatnam and New Delhi. If you are staying in any other part of India you can cover the distance by road, train or air to any of these metro cities to catch a direct flight to Port Blair. For example, if you are staying in Rajasthan, you can come down to New Delhi and take a flight to Port Blair via Chennai, Kolkata, Mumbai or Vizaj. By Train – You cannot reach Port Blair directly by train. You can reach to any of the cities like Kolkata, Vizaj and Chennai to catch a ship to Port Blair. Or you can come to other big cities like Mumbai Kolkata, Chennai, Vizag, New Delhi to catch a direct or via flight to Port Blair. By Ship – There are five ships with state-of-the-art facilities operating between mainland of India to Poart Blair. The ports/places form where the ships connect are Chennai (Madras), Kolkata (Calcutta) and Vishakapatnam (Vizag) connecting to and Andaman and Nicobar Islands at Haddo Jetty at Port Blair, which is also the capital of Andaman and Nicobar Islands. These five ships are namely: M. V. Nicobar, M.V. Nancowry, M.V. Akbar, V. Harshavardhana and M.V. Swaraj Dweep. They take a journey of 55-70 hours on an average to reach Port Blair. Hotel Haywizz – It is a comfortable hotel located close to the tourist attractions of Port Blair. Anugama Resort – This is a quaint resort near the picturesque Wandoor Beach with free shuffle from the hotel to the beach. Kevins – It is a wonderful place with courteous multi-lingual staff, with all basic amenities such as AC and Wi-Fi. Andaman Castle – It has big and clean rooms and very spacious homestay option. Rooms are with great views and staff very hospitable. Palm Grove Eco Resort – This hotel has supportive hotel staff and a heaven for non-veg food lovers and south-Indian culinary fans. SeaShell Port Blair – It is a nice hotel with good breakfast spread, good food, thoughtful staff, sea-facing rooms and rooftop bar. Sun Sea Resort – Cooperative staff and location in a busy hub are the highlights of this hotel. Hotel Aries Andaman – It is low-cost or budget stay lodge. It is ideal for short stay for back-packers but not recommended for people looking for luxury stay. The North Reef – It is a neat and clean hotel just 10 minutes away from the International Airport. With courteous staff, nice food and good services your stay will be comfortable. J Hotel – It is a comfortable, neat and clean hotel situated near The Clock Tower, Aberdeen Bazaar. It is budget hotel with good food and being situated in the middle of the market you can hop out for shopping anytime. Adventures and water sports evenly balanced with relaxation and sun-bathing should be your itinerary while visiting Port Blair or Andamans. Surfing on the white foamy seas; feeling the air rushing past you and the waves gushing below you in a jet ride; gliding up high in the air with the blue seas beneath you in paragliding; playing mirthfully with the air currents and the cool sea breeze in a parasailing venture; wobbling and splashing on a banana boat; cruising at top speed in the Russian boat Dolphin; swimming with the colourful underwater fishes and snails and corals in a scuba diving; walking on the sea bed watching the fascinating marine life are all thrilling and extremely enjoyable activities that you cannot miss while in Port Blair. Don’t have the energy to ride the waves! No problem, sit or lie down on the white sands in one of the gorgeous beaches and soak in as much as sun and sand and sky as possible. Swing in a hammock with a swig of your favourite drink. Get roasted and toasted with a favourite book on the sands. Chill with a chilling beer on the coast. Fill your belly with the favourite and mouth-watering sea-food delicacies and enjoy the lovely tropical weather. Cellular Jail – Cellular Jail is a tragic and mute witness to the inhuman punishment meted out to the brave Indian Freedom Fighters who led the India’s war of independence. It is still a horrific remembrance of the bygone sad era and one can see the hanging cell where three prisoners used to be hanged at once and the innumerable small dingy cells where prisoners were kept locked for days, months and years. Ross Island – A beautiful Island about 2 kms away from Port Blair well connected by regular ferries and bearing the colonial ruins of the British era. It takes hardly 20 minutes to reach. Rajiv Gandhi Water Sports Complex – This place offers various thrilling water sports activities. Mahatma Gandhi Marine National Park – The Dilthaman tank found inside the park was once the only source of drinking water to the people of Andaman. It has a big statue of Mahatma Gandhi and other historical monuments, war bunker and a Japanese temple, amusement rides, nature trail and boating facility. Samudrika Naval Marine Museum – Displays the history of the islands, paintings, pictures, shells, coral and models related to the aborigines and inmates of the islands. Mount Harriet National Park – It is the highest peak of South Andaman and is covered by dense green forests and portrays natural splendour. Chidiya Tapu – A beauty in the wilderness exceptionally known for magnificent sunset and varieties of birds. Marina Park and Aquarium – It sports an aquarium with varied species of fish and corals and War memorials of 1971 War, Navy turrets, statues and lots of trees. Corby’s Cove Beach – It is peaceful and sandy beach with water sports and a nice place to enjoy sand and sea, walk and relax. Chattham Saw Mill – It is famous for wooden artefacts and artistry, wood carvings, furniture and various wooden artistic articles.